I love bake sales at my kid’s schools this time of year because making Halloween themed treats is so much fun. 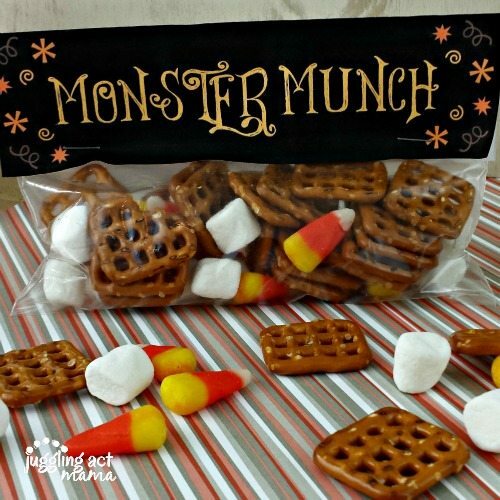 You’re going to love how simple it is to make this fun Monster Munch with Printable Bag Toppers. 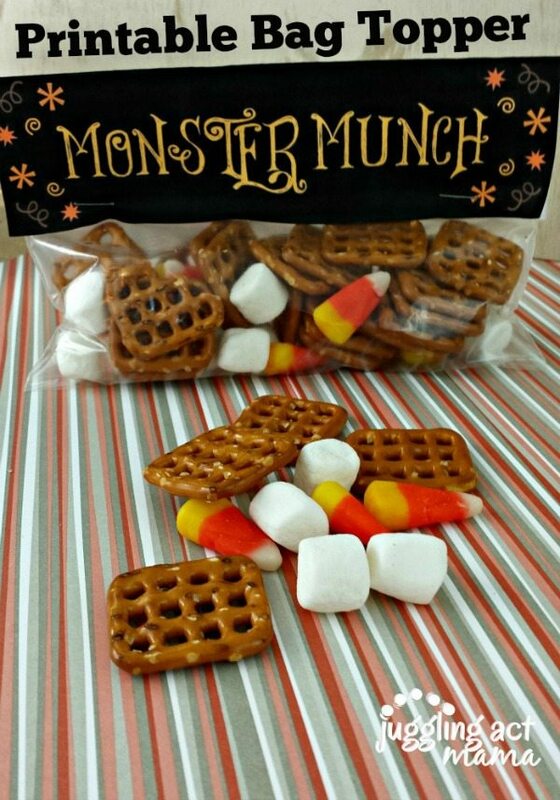 These would be great for Halloween parties and trick or treating, too, of course! The kids can help and it’s a great exercise in sorting and counting, too! I had my kiddos count out the items for each bag (ie: 20 pretzels, 10 candy corn and 10 marshmallows). I use the small snack size bags, since this is a sweeter mixture, but this topper will a sandwich size bag also. Staple them onto the bag. ‘That’s it! Super easy right? What would you use this this bag topper for? Just lick the image below to download. great idea! my kids would love this!